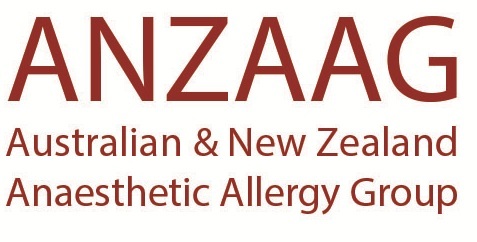 ANZAAG is the Australian and New Zealand Anaesthetic Allergy Group. The group consists of medical specialists who have a particular interest and expertise in the area of perioperative drug allergy. ANZAAG is a not-for-profit organisation with a focus on assisting and educating colleagues to deliver quality care for patients. The group members include specialist anaesthetists, specialist immunologist/pathologists and immunologist/allergists as well as technical laboratory specialists. The resultant group allows for development of resources which are extensively reviewed, based on best available scientific evidence and many collective years of clinical practice in the area of perioperative allergy and anaesthesia. 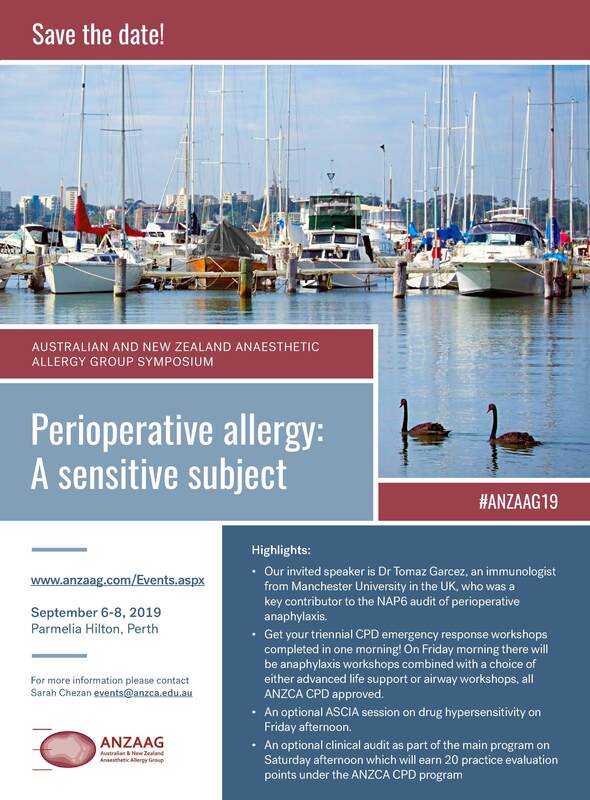 All management documents have involved consultation with The Australian and New Zealand College of Anaesthetists (ANZCA), Australasian Society of Clinical Immunology and Allergy (ASCIA), the Australian Society of Anaesthetists (ASA) and the New Zealand Society of Anaesthetists (NZSA). ANZAAG Executive members provide core representation and expert advice to the allergy sub-committee of the ANZCA Quality and Safety Committee. Representations are made to relevant government bodies including the Therapeutic Goods Administration and Health Departments where a need is indicated by available research or clinical issues. Referrals must be sent to an individual testing centre. Your nearest testing centre can be located under Referrals on the top menu bar.